RICHMOND, Va – Beth Reddish Wright, Camp Director, and Registrar Anna Tuckwiller visited the studio to invite you to help Camp Alkulana celebrate their 100th Anniversary. 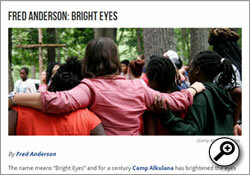 Camp Alkulana is an overnight summer camp to low-income, at-risk children from the Richmond area, and is now the longest running camp in Virginia. Generations of campers, counselors, and supporters will reconnect, reminisce, and celebrate a century of ministry to Richmond’s children. 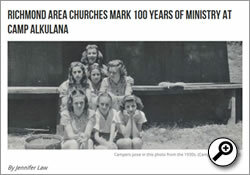 Camp Alkulana’s 100th Anniversary Celebration is Saturday, March 21st at 2pm at Richmond’s First Baptist Church.